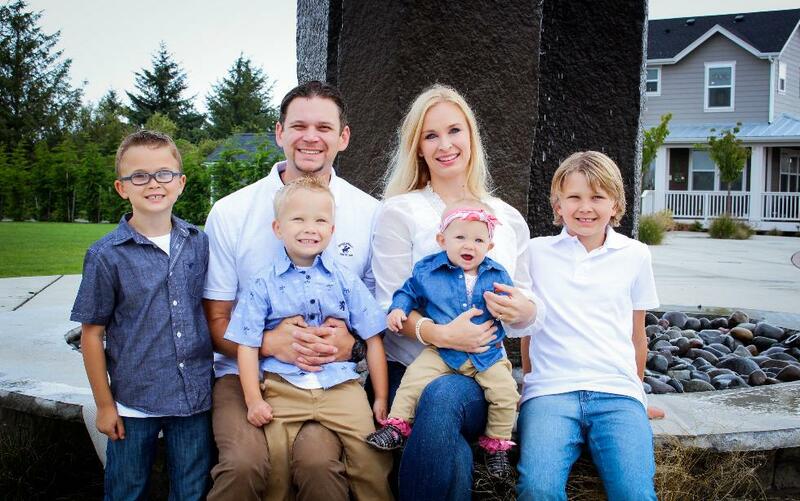 We are a family owned and operated USA company located on the Washington Coast. Starting off on a shoestring budget in a garage, Life and Limb Gel had truly humble beginnings. Chelsea Frank once worked as a prosthetist / orthotist, creating customized bracing solutions, artificial limbs, and fitting a variety of orthopedic braces and medical devices. Part of her job was measuring patients for shoulder braces to use after surgeries. The shoulder was a difficult place to ice and brace, and the options available were less than satisfactory. When complaining to her boss that the shoulder braces available were not a good fit on many patients, he proposed a challenge: "Well, then make something better." Although she had plenty of experience fitting devices, sewing, and customizing the fit of off-the-shelf bracing, creating a custom shoulder orthosis was full of hurdles. Chelsea's boss allowed her a large budget to ensure a supreme end result and within two months she had a design that made her beam with pride. She was creating custom shoulder orthoses with an excellent fit! Her invention aided hundreds of patients in healing after surgeries. The creation process opened her up to the idea of creating and inventing, and when she looked at the cheap and poorly designed gel packs that were used inside the shoulder orthoses she knew she could make them better. Soon after, she found herself pursuing inventing full time. Hours spent testing materials, textiles, plastics, and gels in a corner shop space in her garage, Life and Limb Gel was born. As a mother, safety was of utmost importance. She chose to construct her gel packs with environmentally safe plastic (and nylon for added strength) - free from the harmful phthalates in competitor's products. She also chooses to fill her bags with FDA food grade or food safe ingredients unlike many competitors who use toxic or sub-par ingredients. Life and Limb Gel fills the packs in-house for ultimate safe control. Starting her own company was one of the best decisions she's made in her life. Starting small allowed her time to get her business and products perfect: superior quality materials and exceptional designs was a must. Meet some members of our team: Sara Curnow (production assistant), Chelsea Frank (owner operator), Belinda Tyndell (sewing specialist), and Megan Blackburn (production manager). From the beginning, Life and Limb Gel made a conscious effort to purchase USA made products from USA companies from the start. 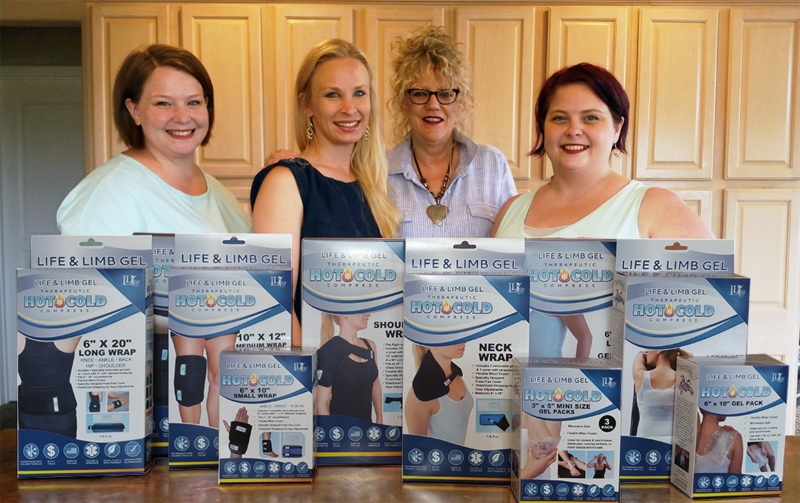 With changes in insurance and medical cost cares rising, Life and Limb Gel also chose to offer quality hot and cold therapy products at value pricing. Life and Limb Gel wants to provide affordable compress wraps and ice packs for ANYONE recovering from surgeries or chronic pain conditions. Life and Limb Gel is now a leader in the hot and cold therapy industry, priding themselves on excellent customer service. They have grown to a team of five wonderful hardworking staff members who make every effort to please every customer - always going the extra mile.